We currently require talent 18years and over for upcoming background extra and featured extra work on Shortland Street! To apply for this role you will need to sign up to our agency. Once you have a profile with us we can then submit you for all suitable which will include Shortland Street. We are seeking Doctors (30 - 55 years old) Nurses (25 - 45) IV Bar Patrons (18 - 30) and Patient Visitors (15 -70). Applicants must be based in Auckland, legally allowed to work in NZ, have their own reliable transport and must not already be signed with another talent agency. If you are reliable and have great availability we would love to hear from you! 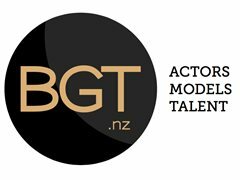 BGT is one of New Zealand's most successful Talent Agency. We are the only agency with an online booking system in Australasia. A note about our fees: For our Auckland based talent we charge a website fee is $150 each year for over 16’s. Under 16’s pay a one-off fee of $150 until they turn 16. For over 18-year-olds we offer a money back guarantee if you don’t get a job within a year. We also offer talent who are over 18 a Free Trial, so you pay nothing until you’ve scored your first job then decide whether you’d like to join and pay the annual website fee at that time. We take a 20% commission + GST on all worked booked through BGT. All talent who join up also receive a free photo shoot at the BGT office (unless you have your own great photos you would like to use). Head to the IV bar for a drink! Rest your head or sit in the waiting room. A variety of different types of Patients and Visitors are required for this busy hospital!